I’ve only played AoS twice, back in 2016 I think it was, so I’m not really all that invested in the storyline or anything. 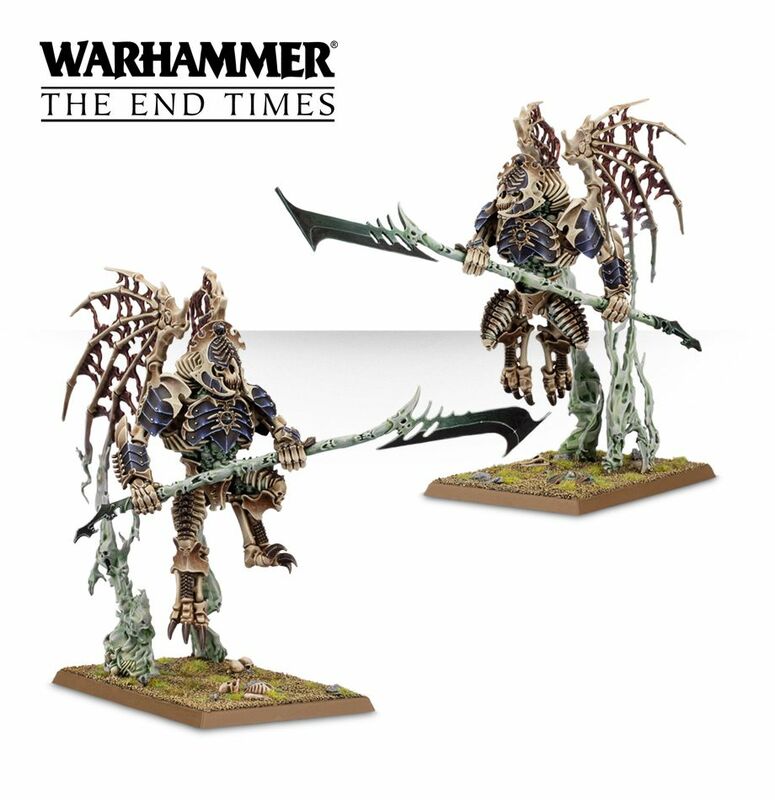 But it seems that Nagash has grown tired of Sigmar stealing the souls he sees as rightly his in order to forge and re-forge his Stormcast Eternals, so the lord of the dead launches his grand offensive against the god-king of Azyr. Or something like that. 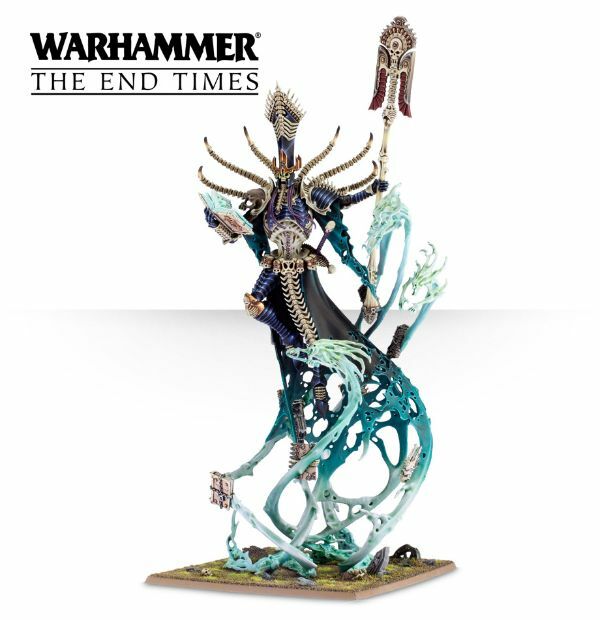 It all sounds a bit like the End Times from back in the day, when the Nagash model first came out and wowed us all with its majesty! Well, they’ve obviously built on that majesty, and created a whole range of stuff that looks simply fantastic. We’ve already had a lot of this stuff previewed back during Warhammer Fest, and I am still mightily impressed with it now as I was back then! 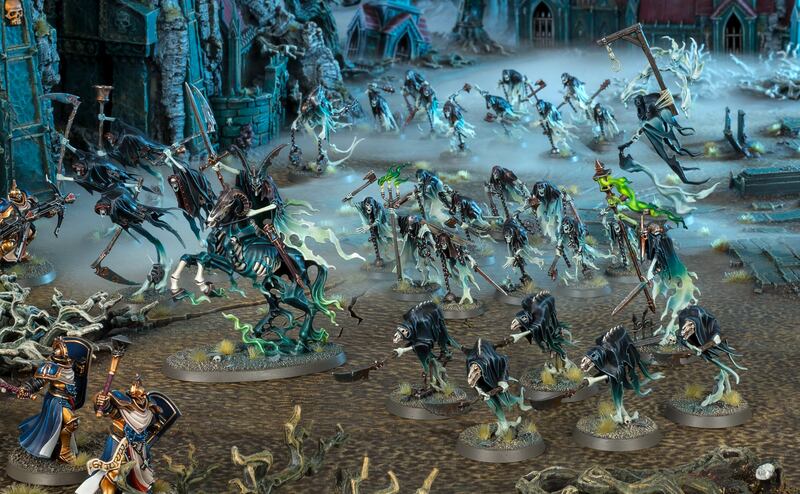 I suppose I don’t really have the excuse to buy into the Fantasy world once again, having thrown so much of myself into 40k of late, but I think it’s going to be tough to resist such beautiful models for long!! There is definitely something about Warhammer Fantasy that keeps drawing me back whenever I think I might have made an escape. I suppose, being the first contact I really had with Games Workshop, it will always hold that special place for me, and I think I’ll always have an interest in the world, even if I never get round to playing a game with these models. At £95, I just can’t really justify spending the money on a box of awesomeness right now, even if it is so damn awesome. But who knows whether I’ll make it back to fighting in the Mortal Realms once more…? I’m still trying to digest the amount of news that happened this weekend around Warhammer 40k, Age of Sigmar, and specialist stuff from Forge World. It’s just too much! Well, is there really such a thing as too much good stuff? Anyway, there was so much awesomeness coming out from Coventry that it’s taken me a while to process. They’ve had more guys over the last few years, for sure, and I can’t say as I was a big fan of the weird lizard-riding Scout-like guys, but now we’re getting Stormcast wizards in bona-fide wizard garb, and I think I love it! 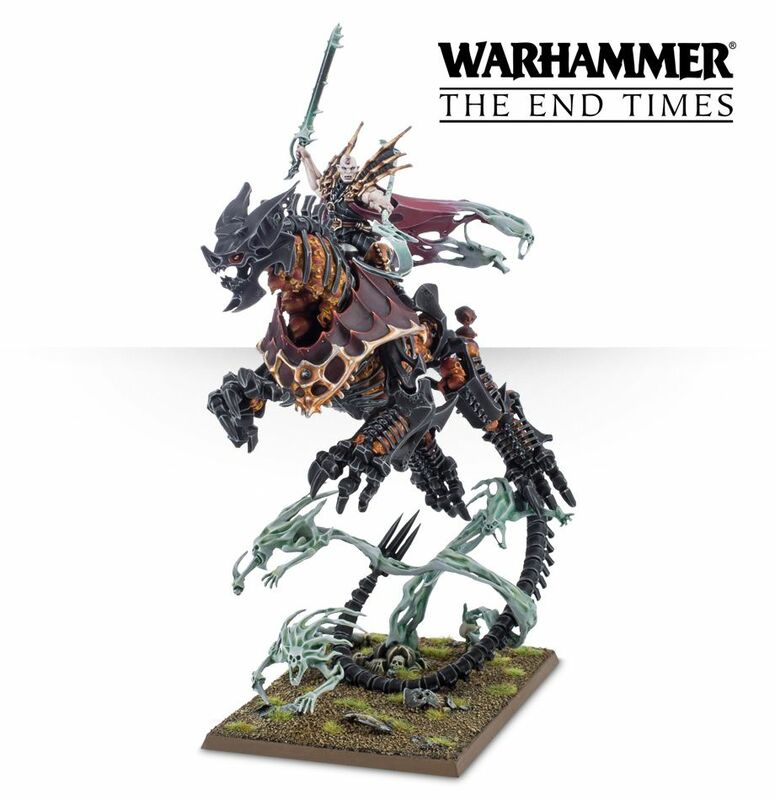 I’ve been dormant with Age of Sigmar for a long time now, but I think I may well be tempted to pick some of these chaps up when they arrive. The temptation is real! 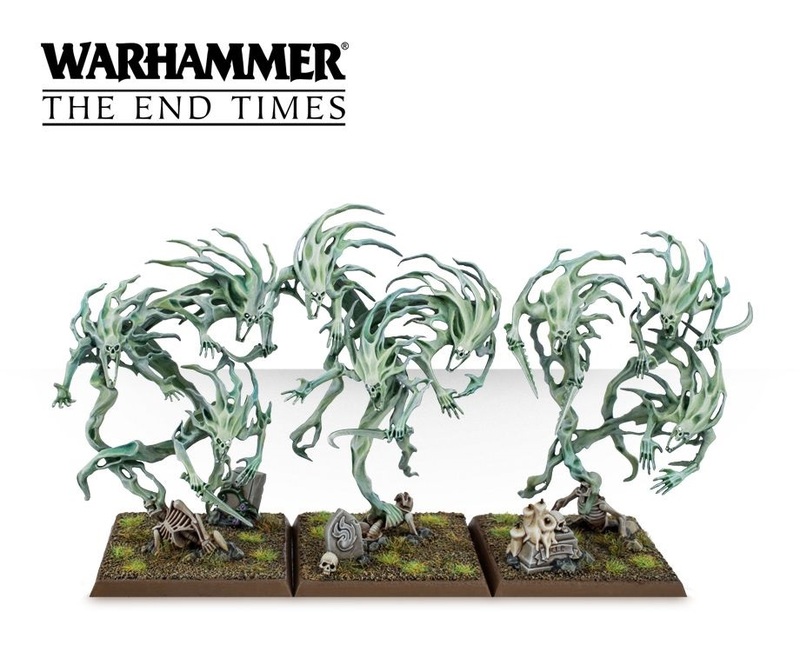 Before that, however, it looks like we’re getting some super awesome looking new Nighthaunt models to go alongside Nagash and his Mortarchs, and these are also proving to be a temptation too far! I’m trying to remind myself how fiddly and difficult it was to put those Spirit Hosts together back in the day, but even so, they look beautiful! That’s not all though, as next month, just three years after the game first launched, we’re getting a 2nd Edition of Age of Sigmar, which sounds like it’s taking on a lot of the fan feedback from these last few years, and could be pretty much amazing! The new edition is coming with gaming aids and objective markers and terrain that sounds very much like the Dark Imperium launch from last year, and it looks as exciting as all hell! I’m still somehow resisting getting myself back into fantasy gaming, as I feel like I’m too heavily invested in 40k at this point, but I’ll certainly be keeping a very close eye on the proceedings! Well, they did say they were starting! 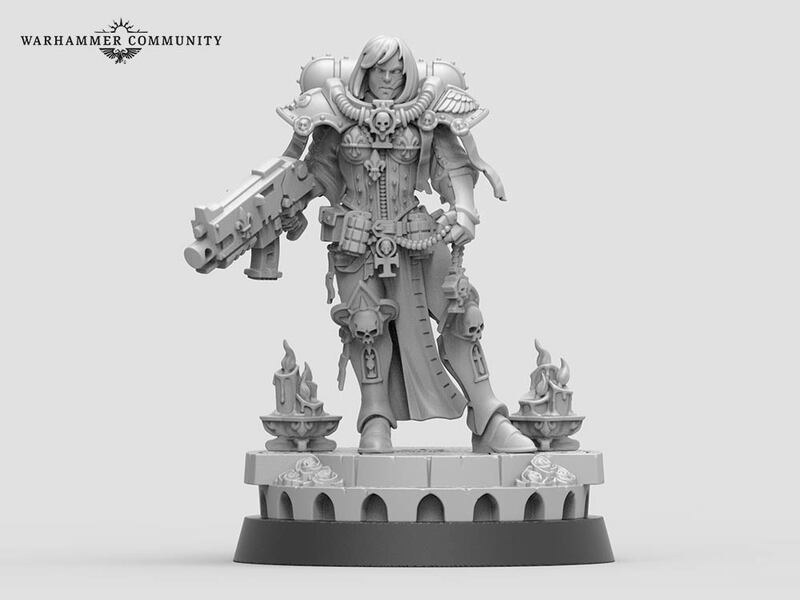 This is a preview of the first Sister of Battle model that will be made available as a kind of vanguard for the main releases, and she does look pretty damn awesome. The detailing is incredible, and I love that scenic base! I’m 100% sure that I’ll be picking these girls up to add to my Imperial force once they’re ready. Cannot wait! I know I can’t not mention this, as so many people are chomping at the bit, but I’m really just not that interested in Titanicus. It looks like it’ll be a fine game, don’t get me wrong, but I’m not that bothered in Knights in general, so can’t say as I’d want to play a game devoted solely to these big guys. What I am excited for is the next gang for Necromunda, however! I still need to do a blog on this game, but it continues to excite me with every release, and having just picked up my Van Saar pre-order recently, I’m already excitedly looking forward to the Cawdors coming to join the fray! I love how the game has been expanding, and I can’t wait for more! We’ve also seen the announcement of the next Horus Heresy book, featuring rules for Blood Angels and White Scars among others, and we’re getting a few Alpha Legion models, including the big man himself, who looks awesome, and I’m still seriously considering picking him up soon! 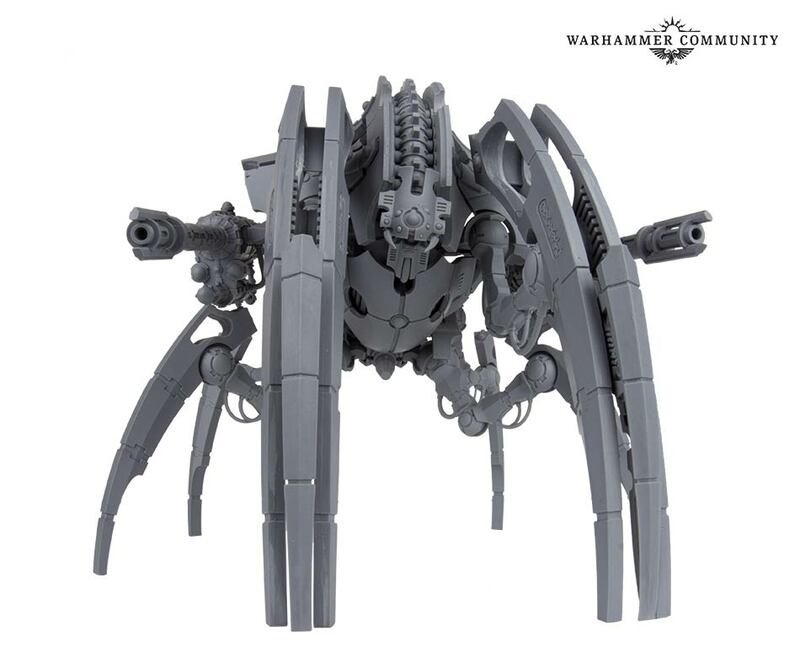 I wasn’t expecting this, however – and I think I’m still pretty amazed at the fact we’re getting a Necron Titan! The thing looks immense, and I’m not sure I have the house room for it, let alone the budget! I mean, this thing looks just beautiful. I don’t mean the gameplay, I just mean the models. Its subject matter is just so weird and out of left-field, I saw the blurry leak photo and wondered if it’s not just some weird knock-off thing, but it turns out that it’s very real, and it looks incredible! 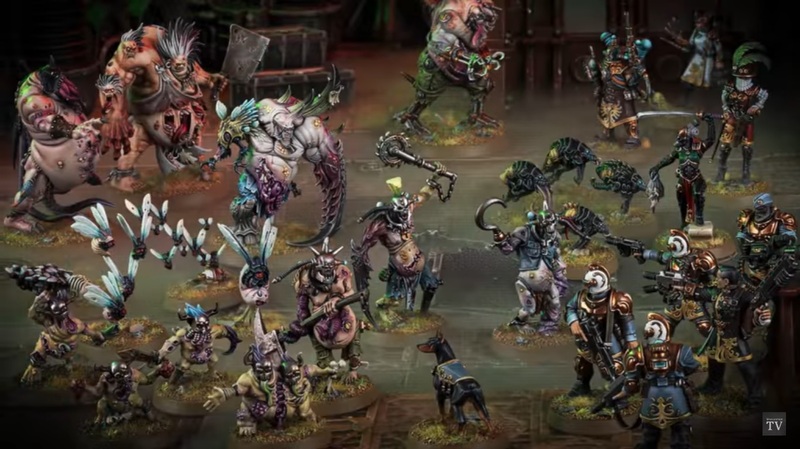 Those Nurgle beasties could easily be used for Drukhari Grotesques, but I think this is another game that could very easily be kept as a game, something I think is almost a bit weird with a lot of these GW games that aren’t Blood Bowl or Necromunda. I mean, how many people bought Deathwatch: Overkill because they wanted an actual board game? 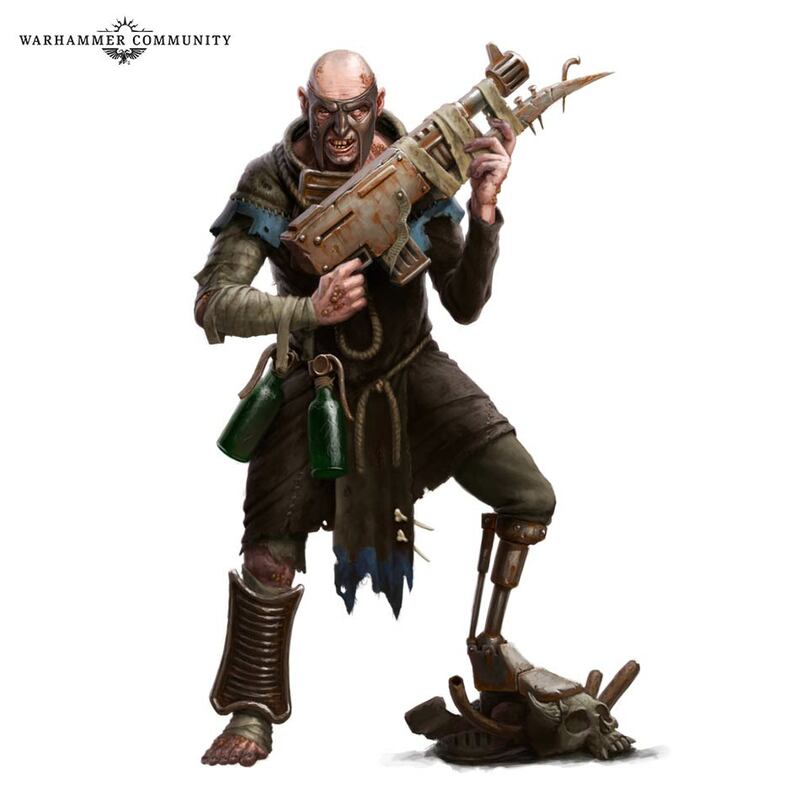 I’m still wondering if there will be a way to use the Rogue Trader part of this force in regular tabletop 40k, and I’m sure the Nurgle stuff will either get rules in the same way, or you’ll be able to use things like the cleaver-guy as a Beast of Nurgle or Herald of Nurgle, or whatever. But the fact that it’s Rogue Trader says so much about how far GW has come lately. There’s such an air of nostalgia around the products they’re bringing, along with a determination to do their own past justice with stuff like the Genestealer Cults, Necromunda, and now this. It’s not just the fifth or sixth re-release of the same Space Hulk game, but they’re pouring effort into things because, I can only assume, it’s now clear that people actively want to see this stuff, and will buy it up like nobody’s business, and will clamour for more until the cows come home. The Nurgle stuff looks gross, as it should be – some of the models manage to capture the perfect essence of creepy and cartoon grotesque-ness that Nurgle is all about, for me – while the Rogue Trader contingent looks fancy as all hell, and exactly like Rogue Traders should look. Man, it’s making me want to read that Omnibus now! I’m finding myself genuinely excited about this, and I’m loving the fact that we seem to be getting a regular stream of board games from GW around Christmastime. It’s awesome to see how many games they’re producing now, and I really hope that it’s a success and sees further support down the line! 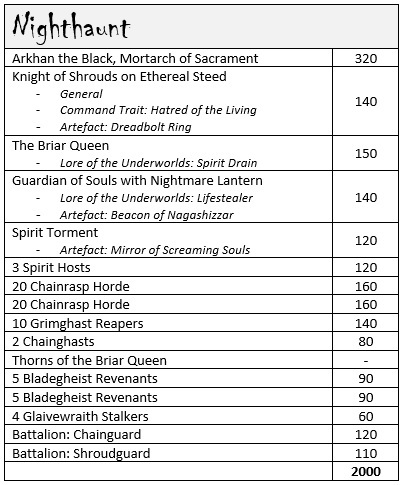 Author spalanzPosted on May 14, 2018 Categories WarhammerTags Adepta Sororitas, Age of Sigmar, Nagash, Nighthaunt, Rogue Trader, Stormcast Eternals, Warhammer4 Comments on Warhammer Fest 2018 News! 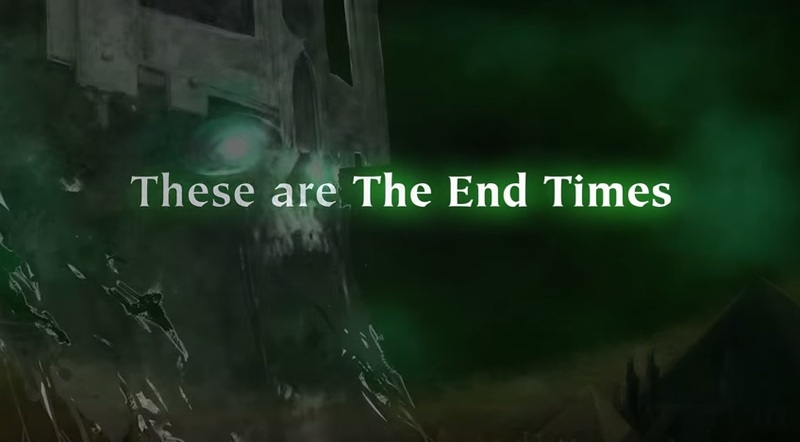 About two weeks ago, I was reading the Warhammer novel The Return of Nagash, by Josh Reynolds, as all the hoopla surrounding The End Times from Games Workshop was beginning to die down. I had been following said hoopla quite closely, as it all began to kick off about a week after I got heavily invested in the Old World – you can read my tumblr collections here and here, as well as checking out my attempts at painting one of the models from the release here. However, while I bought the Reynolds novel at this time, it took me almost a month to actually open the cover, I suppose due to being involved in other stuff at the time! Well, anyway. 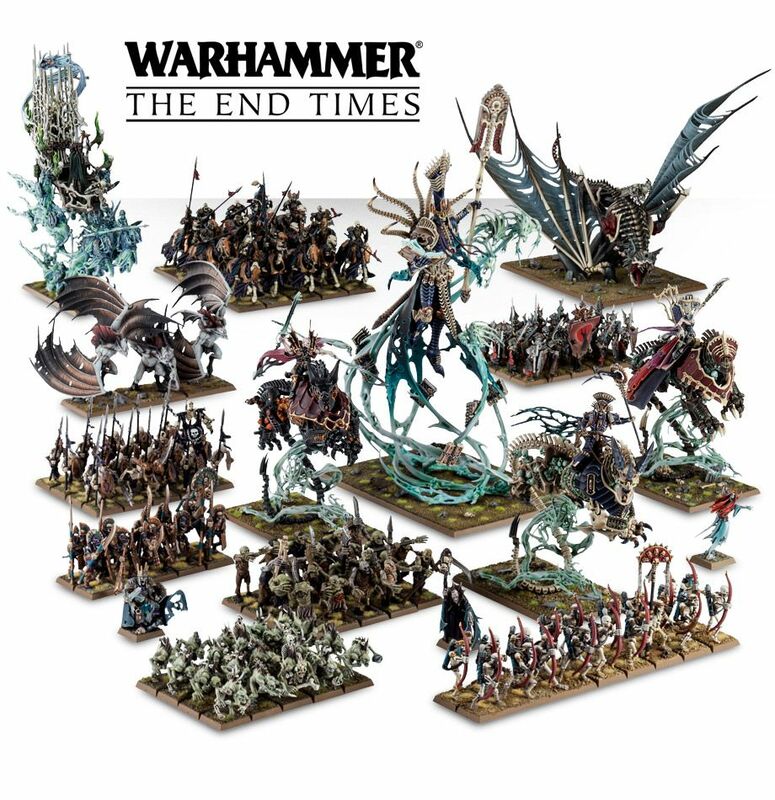 The novel came out in the first wave of stuff for the End Times, which included the Nagash model itself and the above massive hardback tomes, which give both the fluff and the crunch for Nagash as far as the tabletop game itself goes. 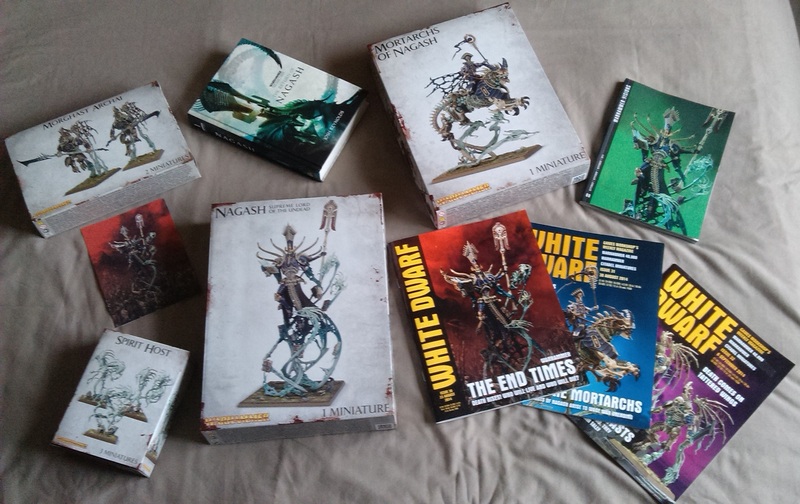 While I did actually buy all of the models from wave one, I haven’t done anything with them yet (aside from the Spirits), and if I’m entirely honest, I don’t know if I will: Vampire Counts and Tomb Kings are both lovely-looking armies, but if I did play the game, it would be Lizardmen all the way! I’d just like to get this out there from the off: I really liked this book. 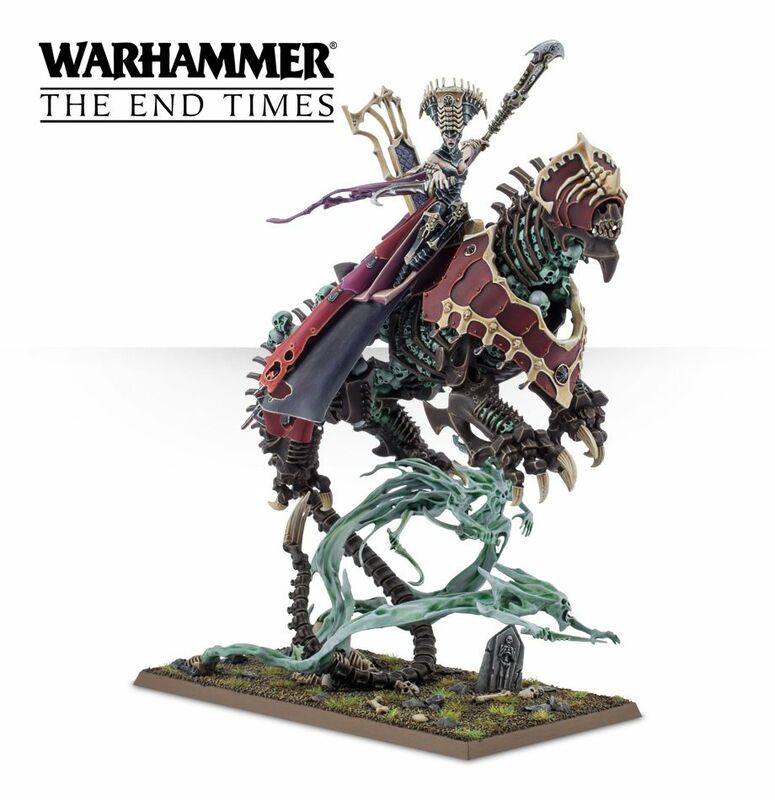 It deals with the efforts of the Vampire, Mannfred von Carstein, and the Liche, Arkhan the Black, to restore the first Necromancer, Nagash, to the world. I don’t really consider it a spoiler to say that they succeed, given the fact that the game has seen the release of the model and this book is essentially justification in prose, but it is a really excellent read to see how he is brought back. I’d also like to get this out there from the off: I’ve only ever read Sigvald previously, and am barely acquainted with the Old World setting. A map of the world included in the centre pages is really useful, but I started reading this book with some trepidation, believing that I wouldn’t fully grasp the story because of my unfamiliarity with the setting. Nothing could be further from the truth, however. Reynolds introduces new characters and tells the story through their eyes – Erikan Crowfiend has a rich backstory as a vampire who turned his back on his kin, and has now begun his return to Sylvania, so we’re introduced to the major players as Erikan is re-introduced to them, which is a very powerful way of writing, to my mind. As such, this book is an excellent introduction to the world of Warhammer, and at £20, is probably the cheapest you’ll ever find! As someone who has previously had exposure to the world through the mechanics of painting miniatures rather than the game itself and all its fluff, I found myself enraptured every time something like Castle Drakenhof was mentioned (it’s the name of their blue shade paint! Eeeeeeeee!) It’s a small point, but having been acquainted with the Citadel paint range, it was really nice to see where these names come from. Whether by accident or design, Reynolds uses these a lot, which I would imagine would allow the folks who have only previously painted miniatures without a thought for the game mechanics to feel a little less lost in this book. I can’t speak for diehard fans of the game, for I am not among their ranks, but there is an excellent review here that you might want to check out for that! Like I said, then, I have a very disjointed knowledge of the Old World, but that was not an issue for my enjoyment of this novel. The actual story is also really good in and of itself. For an absolute newcomer, you have a really good tale of two people (though, can a vampire and a liche really be called ‘people’?) who obviously have a history of bad blood between them, coming together in an uneasy alliance with a common goal, though their motivations are definitely not shared. The characterisations of each are such that, by halfway through the novel or less, you feel like you know who these guys are. The story is steeped in a rich history, but that history is explained anyway, so you don’t need prior knowledge of who Arkhan, Krell, Vlad or even Nagash is to enjoy this. I always think it’s a sign of excellent storytelling, where an author provides a rich background like this and yet having no knowledge of that world doesn’t detract. It’s a very similar experience with Star Wars – the first movie is steeped in history and lore that we obviously don’t know anything about, because this is the very first story in that universe, and yet we aren’t lost for a second. I’m sure long-time Warhammer fans will appreciate what could well be countless nods to past works, but you don’t need to get any of them to appreciate this book for what it is – a great piece of storytelling. Given that we’re still apparently in the midst of this vampire renaissance, it’s refreshing to read this book without the sort of baggage that vampires have acquired lately. For those of you who don’t know, Warhammer Fantasy Battles was developed in the early 1980s with the express purpose of putting a number of armies in direct conflict with one another – to some extent, everyone is an enemy. Despite the fact that vampires have their own connotations for humanity outside of the game, Reynolds does a really good job of writing these chaps with some level of sympathy, without losing sight of the fact that, to a lot of people who may encounter this book because of their love of the game, the Vampire Count faction is possibly a mortal enemy of the tabletop. Little bits like this really help to make the book a rounded experience. All of this is not to say that I had some sort of transcendental experience with this book, however. While it is a very good story, the middle does suffer slightly, as Arkhan and Mannfred go their separate ways to recover some relics of Nagash to help in the ritual to restore him to life. The locations of these relics are a long way from both each other and from Sylvania, the home of the vampires, so some level of time-lapse needs to be conveyed. However, we get quite a plodding middle section, as the narrative swings between the two protagonists through each of their journeys, and it sometimes feels like we’re having events relayed to us just for the sake of padding out the journey. I think I would have preferred to have seen each split off, a la Lord of the Rings I suppose, with non-stop Mannfred, then non-stop Arkhan. But that’s really a minor point that needs mentioning. Anyhow, all of my rambling – and efforts to decipher what’s happening in the meta of the tabletop game – aside, this is a really good book, and definitely worth picking up. Unfortunately, it seems the hardback book is now out of stock (unless you can get a copy at your local GW store), but it is still available for download, and will be out in paperback in January. Highly recommended, anyway! So I’m a pretty big Warhammer fan, as you might now have gathered from reading previous posts in my blog. 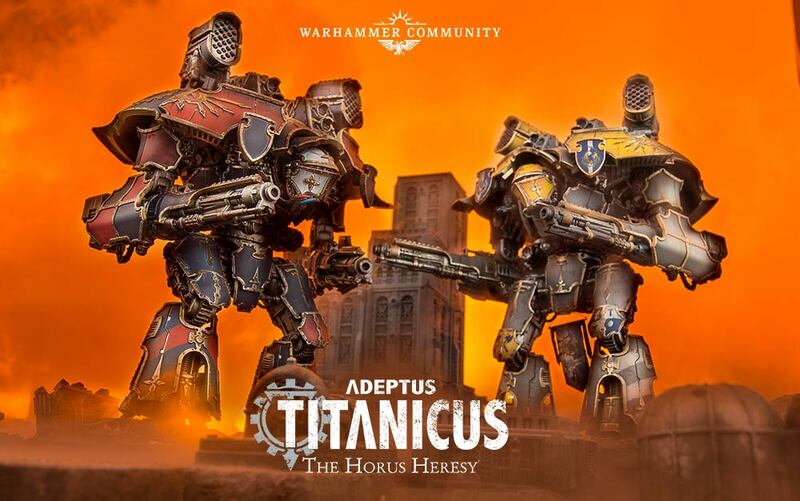 Well, for the past couple of weeks, there has been an ‘event’ happening in the Old World that promises to shake the very core of the Warhammer universe. 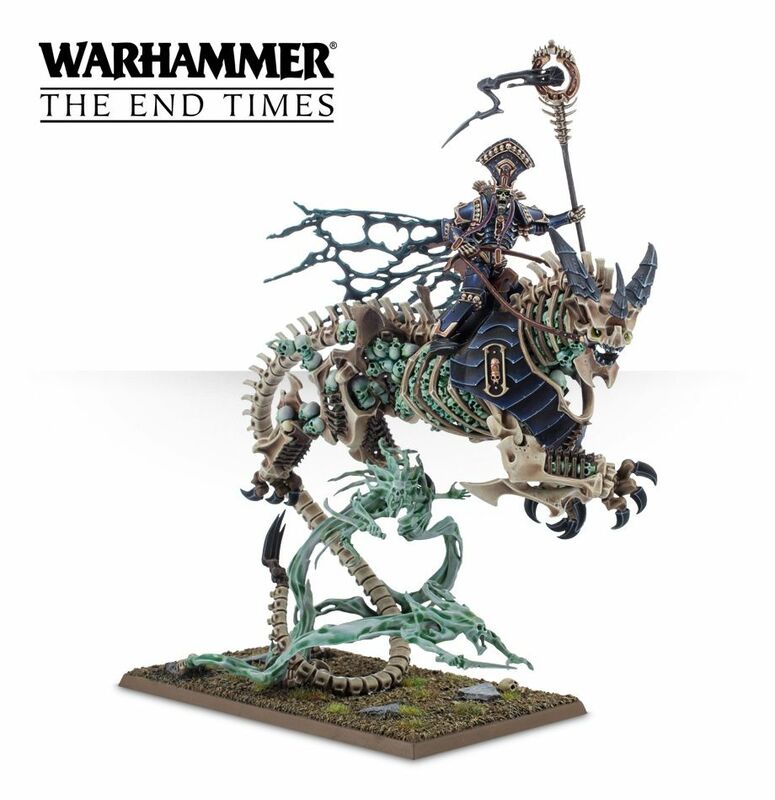 Nagash is the Supreme Lord of the Undead, the great Necromancer whose power shook the Old World until his demise. Nagash was once High Priest of Khemri, in the land of Nehekhara, though his ambition drove him to seek immortality. When a band of Dark Elves washed up on the shore, he learnt of magic from them, and of the Realm of Chaos. Using his new power to bestow eternal life, he gained a number of followers, foremost among them being Arkhan the Black. Following his father’s death, Nagash slew his brother and ascended the throne of Khemri, and used his position to have a huge Black Pyramid constructed, through which he channeled the Winds of Magic into Nehekhara, allowing him to develop his own brand of magic: necromancy. He preserved his knowledge in nine books, the Liber Mortis, which were illuminated with human blood. Many nobles flocked to his promises of immortality, but seven princes rallied behind Prince Lahmizzar of Lahmia to oppose him. Nagash raised a skeletal army to fight the battle, but was ultimately defeated. Arkhan gave his life to protect his master, and Nagash fled north to plot revenge. Nagash survived in the desert through the Warpstone deposits in the mountains, which altered him into a nearly-15ft, emaciated figure. There in the mountains, he built his fortress, Nagashizzar, where he created the Crown of Sorcery and the fabled Mortis blade. The presence of so much Warpstone drew the Skaven, who entered into an uneasy pact with Nagash following a prolonged conflict. Meanwhile, in Lahmia, the Queen Neferata had discovered the Liber Mortis and, in an attempt to gain immortality for herself, she created the first Vampires. When this threat was discovered, the new king of Nehekhara, Alcadizaar, led an army against Lahmia and drove Neferata north, where she sought the aid of Nagash. Intrigued at what he had helped to create, Nagash sent the Vampires back to Nehekhara at the head of a vast undead horde to reclaim the land. Neferata and the Vampires were ultimately defeated, leading to Nagash to curse them. Then, using his Skaven allies, he poisoned the waters surrounding Nehekhara so that the inhabitants died, before launching an invasion with his undead hordes – the ranks of which were increased as more died from the tainted waters. The undead army was led by the newly-resurrected Arkhan, the first of the Liche Lords, and Alcadizaar was captured. With Nehekhara in his power, Nagash began to prepare for the Great Ritual, which would cause everything in the land to die, providing more followers for the Great Necromancer. The Skaven, realising this would cause Nagash to become unstoppable, decided to assassinate him, using Alcadizaar as a pawn. They freed him from captivity and gave him the Fellblade, made of pure Warpstone, which was so powerful it would destroy anyone, including its wielder. Nagash’s spirit remained, of course, and he used the Black Pyramid to channel his energy into regaining his body, casting a new right hand out of Warpstone. The Tomb Kings, led by High King Settra, were enraged by what Nagash had done to them and defeated him in combat. 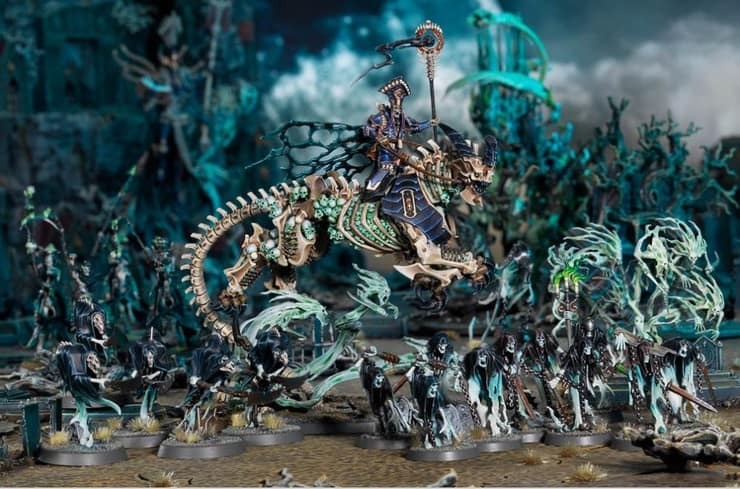 Nagash determined to recover his magical artifacts to fully return to power, and led an expedition into the Empire to find his Crown of Sorcery. He was defeated by Sigmar, however, and with his dying breath he further cursed the Vampires for not coming to his aid. Now, Nagash has been restored to life again through the ritual enacted by Arkhan and Mannfred von Carstein, the latter thinking he could raise Nagash to his own bidding. 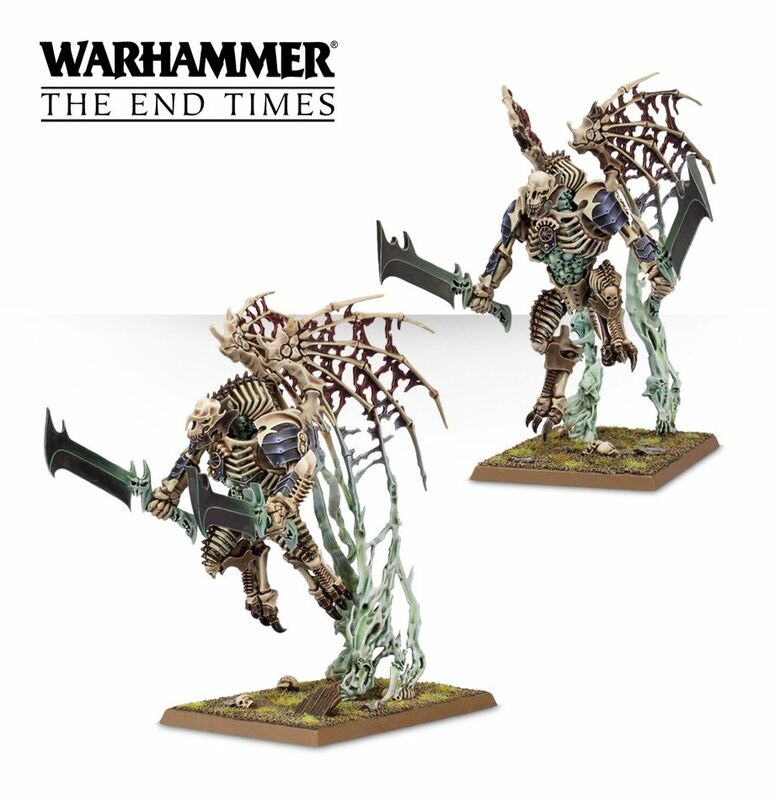 Despite Mannfred’s treacherous intent, Nagash has returned to physical form and has given each of his lieutenants a Dread Abyssal, imbued with the power of the underworld. He once more stands at the head of a vast army, intent on destroying the world. It’s an exciting time to be a Warhammer fan! Obviously, I’m still very new to all this modelling and painting malarkey, but I have nevertheless been following this quite closely, and have amassed a small fortune’s worth of new stuff to try out! I am intending to get round to these chaps in short order. 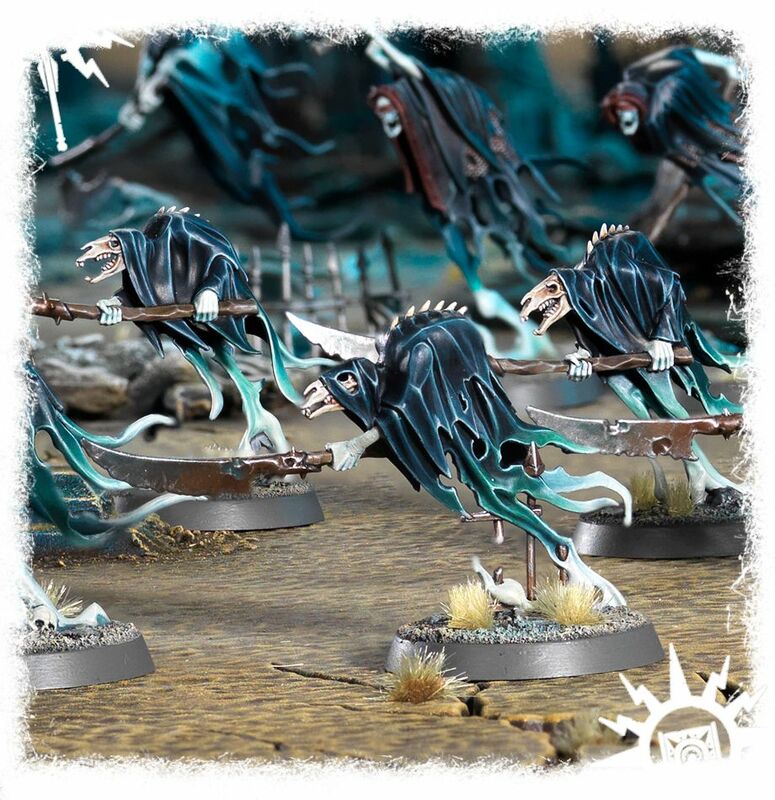 In addition to Nagash himself and his three Mortarchs, Games Workshop have also released some Morghasts, the bodyguards of Nagash, and a small pack of Spirit Hosts, so I’m thinking I might get to those first, as a sort of dummy run before the big guys! These models are pretty incredible, and being a newcomer to the hobby I am a bit concerned at how fragile and detailed they all seem. But they are just so fabulous, I can’t wait! Nagash himself looks a really splendid centrepiece model, but I’m also really looking forward to doing something with the Mortarch model: I can’t decide whether to build it up as Arkhan or Neferata, they’re both really great but I think I’m currently leaning towards Neferata, the queen of the vampires. She’s in such a confident, arresting pose, I think she looks amazing, and would be quite the centrepiece herself! So much awesome! It is my hope, anyway, that I can assemble these guys into a nice little set. Maybe do a diorama or something. 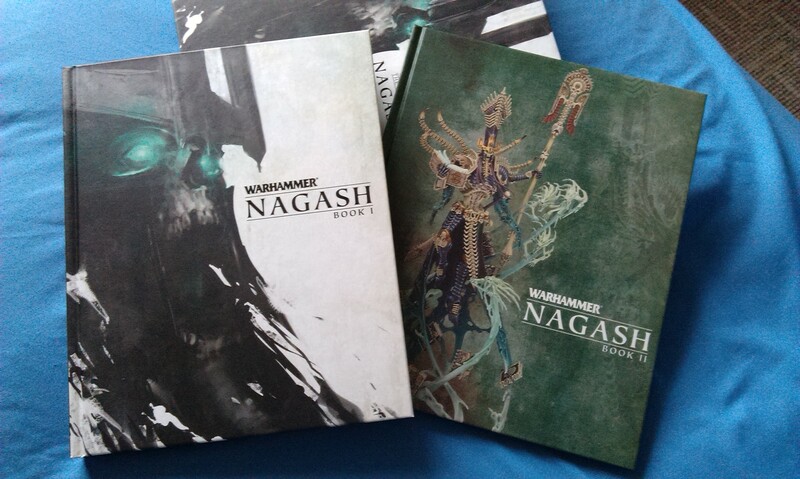 At least Games Workshop have quite handily provided a four-part tutorial on painting Nagash! They are pretty awesome, though, I hope you agree!